Tianjin plans to set up a CNY100 billion (USD15.7 billion) fund to spur development of the artificial intelligence (AI) industry, in what is the latest and probably largest effort by a single Chinese city amid the country’s push to fulfill its ambition to become a world leader in AI by 2030. The AI industrial fund is part of Tianjin government’s grand plan to “speed up the development of the smart technology industry”, which includes a CNY10 billion smart manufacturing fund financed by the municipal government and a string of talent incentives – up to CNY2 million cash reward per person – to attract high-end tech talent. The planned fund comes as competition heats up between China and the United States in dominance of AI technologies, which are vital to enable an array of emerging applications from talking robots to self-driving cars. 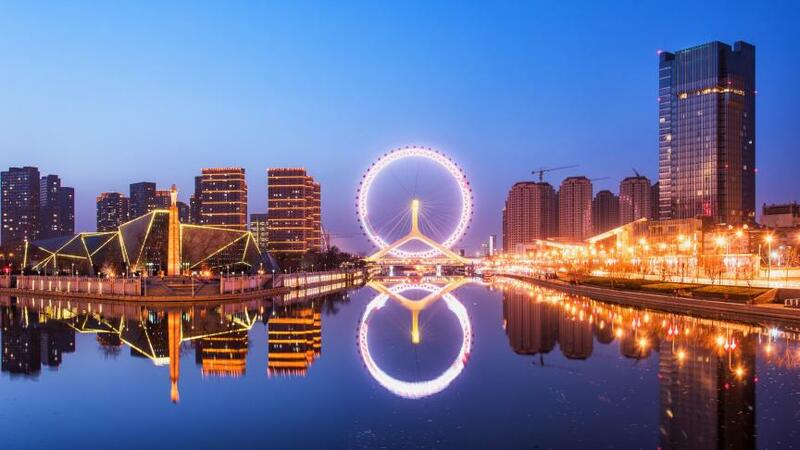 Tianjin’s fund amount also dwarfs funding announced last month by the EU Commission, which said it would boost investment in AI by 70% to €1.5 billion (USD1.78 billion) between 2018 and 2020. The investment is expected to boost total private and public European investment in AI to at least €20 billion by 2020. China’s goal is to develop itself into a key global AI innovation center and build an AI industry valued at more than CNY1 trillion by 2030, according to three-step development road map released by the Chinese government in 2017. Local governments in China have been investing money and devising policies to spur AI development ever since the central government made AI a national priority. In January, Beijing municipality announced a plan to build a CNY13.8 billion AI development park, aiming to house up to 400 enterprises with an estimated annual output of CNY50 billion. At the end of last year Shanghai announced a plan to build a globally competitive AI industry with an output of CNY100 billion by 2020. Besides investment funds in major cities, companies are also investing in AI. Chinese voice recognition company iFlyTek plans to raise up to CNY3.6 billion via a private placement to ramp up research and product development in an effort to maintain its “world-leading position in core artificial intelligence technologies”. The Shenzhen-listed iFlyTek said the proceeds will be used for further development of its so-called next generation cognitive technology, an AI speech open platform, smart service robots, as well as upgrading sales and services, and improving the company’s cash flow. The AI speech open platform alone will receive a total of CNY2.05 billion of investment. The fundraising comes six months after iFlyTek was tasked by the Chinese government to spearhead the country’s development in voice intelligence by building an “open innovation platform”, the South China Morning Post reports. In November, the Chinese government said it would build four national AI open innovation platforms by relying on Alibaba Group Holding in smart city technologies, Baidu in self-driving technologies, Tencent Holdings in AI-enabled medical treatment, and iFlytek in voice-recognition technology, while China Mobile is building a large scale internet of things (IoT) network. The second World Intelligence Congress was held in Tianjin last week.